A short post today to announce some great news about one of our workshop leaders, the ever-versatile, ever-prolific Kathryn Johnson. It comes to me via our friends at the Mid-Atlantic chapter of Mystery Writers of America. Romance Writers of America awarded Kathryn the Booksellers' Best Award in the YA category for her latest novel, The Gentleman Poet. Congrats, Kathryn. Kathryn is the popular instructor of our Extreme Novelist workshops. Her next one begins July 11. And also a reminder! Today's the last day to vote for which book we should read in our Summer Facebook reading group. To vote visit the upper right of this page. It's as easy as making one simple click! I am an introvert. I dread speaking in public. Ask me to speak to a group, and my palms start sweating at the thought of such a task. I started my own company in 2003 followed by a non-profit foundation the next year. My colleagues constantly emphasized the importance of “marketing” my company, “branding” myself, of “networking” in the community. I attended lead share meetings, networking lunches, newcomers’ groups. I hated every single second of it. I showed up, and then I faded into the background, terrified of making conversation with a room full of strangers. Being in a public setting strangled my voice. But put a computer screen in front of me, and I can write. I can write and share my opinions, my fears, my experience, strength and hope. I can tell you what I’m doing, how I do it, and why I do it. Removing the human contact actually makes it easier for me to connect with others. You get the drift. I write about anything and everything that affects me. I write about anything and everything I think someone else will connect with. My primary purpose of writing is to connect with others. It’s the only way I know how to “market” myself effectively, to “brand” myself, and to “network.” I have found when people read my writing, it can make a lasting connection. Those who do connect follow me on Twitter, they friend me on Facebook. And sometimes, they buy my book, or ask me for a cup of coffee and we develop a friendship. Honestly, I would much rather develop a friendship than be known as an effective networker or marketer. Because in the end, I still want to be known as a good friend and a good writer. Sharon Rainey is currently co-authoring a book with her physician on the proper diagnosis and treatment for Lyme disease, entitled With a Twist of Lyme, due out Spring 2012. She wrote her first book, Making a Pearl from the Grit of Life in September 2010. It is available on Amazon and at www.sharonrainey.com. Follow her on Twitter (@SharonRainey) and Facebook (Sharon Elaine Williams Rainey). I can honestly say I'm excited to have these two young documentary filmmakers on board leading a documentary film workshop for teens--two, actually. One in Rockville and one in McLean. SAD UPDATE: Unfortunately we had to cancel each of these two workshops. Ever since their days long ago as tykes at Bethesda Elementary, Lance and Brandon Kramer always they knew they wanted to make films. Now grown up, the brothers Kramer have become wunderkinds on the local film scene, producing new documentaries and teaching filmmaking through an innovative production company they started in 2010 called Meridian Hill Pictures. After graduating from Boston University, Brandon worked as a media teaching artist for the Kennedy Center and the Brooklyn-based Story Pirates. After graduation from Dartmouth College, Lance worked as a journalist and published an award-winning children’s book. In mid-2010, the brothers joined forces in DC to create Meridian Hill Pictures, “a company dedicated to producing, teaching, and sharing documentary films that inspire, educate and build stronger communities.” The brothers envision the company as a way to leverage the power of documentary film to create social change. The brother duo—fourth generation entrepreneurs—now bring their passion for filmmaking to students of all ages, teaching critical thinking, problem solving and communications skills in schools, non-profits, and community groups across the area. This spring, Meridian Hill Pictures completed a range of new projects, including a Kennedy Center residency with the Arts & Technology Academy in Northeast DC; a documentary produced by students aged 8-15 at the Sitar Arts Center about an art teacher who was dying of cancer; and a comprehensive project with a group of adults participating in a green job training program, helping them to create four new documentaries about how urban forestry and green spaces are meeting critical needs in their communities. The films have all been screened at the American Film Institute’s Silver Theatre in May and June. One of the brothers’ feature-length documentaries currently in development was also just selected last week as a finalist in the prestigious Roy W. Dean grant competition. The brothers will lead two ten-session workshops at The Writer’s Center this summer. At the Mclean Community Center in Mclean, VA (with author David Taylor, Soul of a People) and at The Writer’s Center’s new Rockville location on the campus of John’s Hopkins University/Rockville, the Kramer Brothers will walk Montgomery and Fairfax County students through the creative process of making a documentary: from research to visual treatment, production, editing, and distribution. Students will learn how to write for a visual medium, structure a story, interview subjects, use digital video equipment, and work with a crew. They will also complete a short documentary that, the brothers hope, will allow them to explore stories important to their community—which they can later share with that community as a film. As a reminder, please vote for which novel you would like to read for TWC's Summer Book Club by Thursday June 30th. Here are some upcoming literary contests available for submissions in the next couple weeks. 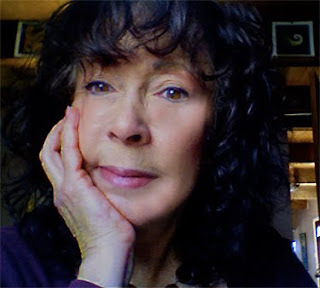 The Barbara Mandigo Peace Poetry Awards are a series of awards meant to encourage poets explore positive visions of peace and the human spirit. • Winners receive a prize of $1,000 and publication on the Nuclear Age Peace Foundation Website. • Honorable mentions are awarded as well. • The contest has a entry fee of $15 for three poems. • Send two copies of a maximum of three poems. Each poem can be a maximum of thirty lines. • Include name, address, email address , and telephone number on the upper right hand corner of one copy of the poems. • The deadline of this contest is July 1,2011. 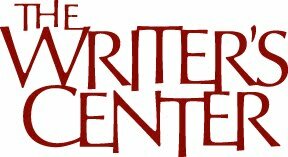 The Writer’s Center will offer a prize of $500 to honor a first novel of an American author, published during the previous year. • Commercially published, small pressed published, and self published novels are accepted. • Submit three copies of a novel published in 2010 by July 15, 2011. • There is no entry fee for this contest. Wags Revue is accepting submissions in fiction , poetry , and essays. All submissions must be previously unpublished. The first prize is $1,000 and publication, the second prize is $500, and the third prize is $200. • Writers may submit multiple poems, but the poems cannot exceed ten pages. • Fiction and essay submissions may not exceed 10,000 words. • Each entry must include the submission fee of $20. • The deadline for the contest is July 15, 2011. The Potomac Review will give a fiction prize to a short story to residents of Washington D.C , Maryland , and Virginia. This is the 16th annual Short Story Contest. • The winner receives a prize of $1000, publication in Potomac Review, and an invitation to speak at the 2011 F. Scott Fitzgerald Literary Conference held in October. • Three runner -ups receive $200 each. • The contest has an entry fee of $25. • Stories should be less than 3,000 words. • The deadline for this contest is July 16, 2011. In the upper right of this page you will see a poll I've created (actually about at 1 o'clock). We came up with the list of four authors and their books. (Don't worry! The books are all fairly short). Take a look at the descriptions of each book below and decide which of the four you'd most like to read, then vote for it in the poll. The voting ENDS on June 30. You do NOT have to be based in the DC Metro region to participate. From wherever you are all over the world you can join the fun. All you need to do is read the book and respond to questions we'll post on Facebook beginning in July--and of course we'll encourage YOU to post questions as well. If we can generate enough steam with this maybe we can even get the author to participate. Once we know what the winning book is we'll create a reading/posting schedule. This should be easy and massively fun, right? Let's see how many people from all around the globe we can get reading the same book. A husband wakes up to find that his wife has had a seizure during the night. The husband calls an ambulance and his wife is rushed to a hospital where she lies in a coma. By day, the husband sits beside his wife and tries to think of ways to wake her up. At night, the husband sleeps in the chair next to his wife's bedside dreaming that she will wake up. He wants to be able to take her back home. years later, the story of this long and loving marriage is retold by their grandson. He wants to understand his grandmother's life and death, what it meant to his grandfather, and what it means to hi. he wants to understand - in his own words - "how love can accumulate between two people." The territory Evans covers in her debut collection may be small, but she owns it. Her main characters are almost all teen girls and young women who struggle with disorder, and the reader is given close access to each one's interior, from which the muted plots originate. "Jellyfish," one of the better stories, starts out with the plight of middle-aged William, whose roof has just collapsed, before settling on his adult daughter, Eva, and examining her life. The two friends in "Virgins," the opening and best story, maneuver unsteadily through the minefield of casually predatory men and boys. "Snakes" looks back on a consequential summer in the lives of two little girls. "The King of a Vast Empire" is the biggest departure from form and is narrated by good son Terrence, who frustratedly tells the story of his free-spirited sister, Liddie. The stories are beautifully observed, though their similarities in theme and voice make them better read individually than together. Evans has some great chops that would really shine with a little more narrative breadth. My intern, Rebecca Shaw (who has been writing the Friday Round-ups for me), is on vacation this week, so I'm posting this piece by TWC Facebook fan Jane Baskin. Depending on your point of view about self publishing, you may find it controversial. Or not. You decide. 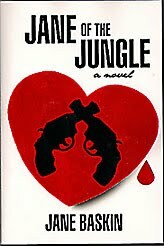 I self-published my novel, Jane of the Jungle. I write because I can’t help it, but I publish because I want to share. Thirty years ago I put myself through social work school by writing for a Boston newspaper. As a social worker, I have examined the minds of the mad, the bad, and the totally unbelievable. As a writer, I have created stories based on these experiences. Before writing Jane of the Jungle, I had already written articles and a book about clinical social work. Jane of the Jungle puts it all together. It is a story of a woman’s quest to find freedom in her later middle age, amidst the everyday madness of life. Like my patients, it is bizarre, heart-wrenching and hilarious, all at once. After taking a few shots at getting an agent, I decided to self-publish. Why? Because I believe that self-publishing is the new frontier. How? • The role of an author is changing. Writers are beginning to realize the success of a book lies in its promotion, not only in its merit. • Self-publishing may be a chance for newbies to be seen. For example, books such as the Celestine Prophecy, Legally Blond, and Babylon 5 began their lives in self publishing. • Even some agents are accepting self-published books for sale to traditional houses. • The quality of self-published books is rising. iUniverse has its “Editor’s Choice” designation; other companies will probably follow suit. • If an author is willing to do promotion by acting as a businessman as well as an artist, a book may have a chance of being published and shared. For my part, I hired a book PR firm, EMSI to get me started. I like their approach of publicizing the author and the message rather than the book itself. With their help, I speak about my favorite subject – anti-aging – in print and web venues all over the country. So far, one article about me has appeared in several local magazines in different parts of the country, and I have been invited to write another for a publication in central New Jersey. Meanwhile I have my blog, where I shoot my mouth off about my view of today’s longer lifespan, something I like to call “Life 2.0.” Life 2.0 is the last third of life, or the second part of middle age. It’s actually more like youth than middle age, because the burdens of family and career are past. Life 2.0 is the time to bust loose and use all your wisdom to live more deeply than ever before. You will never be as free as you are in this last third of life. Jane of the Jungle bursts into freedom by chucking a life she can no longer manage and opening herself up to the wackiness of life on the road. In the process, she finds adventure, danger, crime, love, and of course, the madness that makes the world go round. I truly believe that self-published books will make their mark, just as indie films have. I believe that promotion will and must become part of an author’s trade. Books are about ideas, and promoting an idea will ultimately sell a book. And selling the book is the way you share part of yourself with the world. Which is what it’s all about. 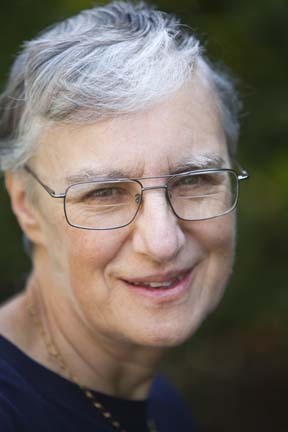 Jane Baskin is a former Boston TAB features writer and clinical social worker. She lives in the mountains outside Albuquerque with her husband and their small herd of dogs and cats. Find out more about Life 2.0 on her blog, Forever Kinda Young. Split This Rock invites proposals for panel and roundtable discussions, workshops, and themed group readings for our third national poetry festival, scheduled for March 22-25, 2012, in Washington, DC. As people's movements erupt here at home and throughout the world in response to political repression and environmental degradation, the festival will consider the relationship of poets and poetry to power and to the challenges to power. Spit This Rock is especially interested in proposals that address these questions. In this vein, Split This Rock welcomes proposals that celebrate the legacy of poet-activist June Jordan, as 2012 marks the tenth anniversary of her death. See the guidelines for more on June Jordan’s impact and Split This Rock. Visit www.SplitThisRock.org for details on developing and submitting your proposal, guidelines, and the application form. Applications are due June 30, 2011. Graywolf Press is giving a Non Fiction Prize to a work in progress of creative non fiction by a writer not yet established in that genre. They are looking for an innovative and promising literary nonfiction contest. They are looking for projects that play with form. Robert Polito, Director of the Graduate Writing Program at the New School will serve as a judge. There is no entry fee for this contest. • Anyone who has published at least one book in any genre and lives in the United States is eligible. • Submit a one page cover letter which includes a one paragraph biographical description and a brief project description. Include previous publications in the biographical descriptions. • Provide a 2 to 10 page overview of the project , explaining what has been completed in the project and what is still a work in progress. • Submit an excerpt of at least 100 pages and a project description. Aspiring children’s picture book writers, here's one for you: It's a PDF. This is the only contest the Loft in Minneapolis, one of our sister centers, administers that isn’t restricted to Minnesota residents. Last year, three of the eight winners came from out of state – two from New York, one from North Carolina. The Bellevue Literary Review is giving prizes to a poet, a fiction writer, and a creative non fiction writer for works dealing with health , healing, illness, the body, and the mind. • The contest is divided into three categories: poetry, fiction, and creative non fiction. • Entry for the competition is $15. • Submit entries through the online submission system. • Submit up to three poems totaling no more than five pages or at maximum 5,000 words for prose. • Deadline for submissions is July 1, 2011. While we're at it, don't forget that The Writer's Center has the Undiscovered Voices Scholarship deadline of July 1, and the McLaughlin-Esstman-Stearns Prize deadline of July 15. Click on the links to learn more. I must write this quickly, before I lose my high from winning first place in the DC Commission on the Arts and Humanities Larry Neal Poetry Award. I won it while I was toiling in my own Slough of Despond. I had decided, after being published several times in small magazines, to take a step upward and send my work to nationally-known high-profile poetry journals. Then the rejections really came rolling in. OK, I did receive a This is not your usual rejection from Agni and You’re out of the slush pile from Raintown Review, but no acceptances. But I did continue to send out poems and applied for Larry Neal just because it was there. So the Award has given me a new lease on my poetic life; new courage and self-confidence. Early in my career as a poet, a colleague told me that I wrote stories about people. I was very surprised. But now I think he was right. The poem that won the award was a story about my mother. 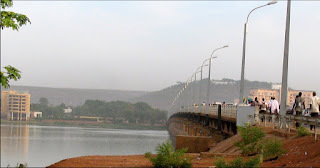 The most recent poem I had published, in 2010, was the story of my late uncle-in-law. I was in the National Portrait Gallery last week which had an exhibit of Alexander Calder’s portraiture. Most of the work consisted of wire portraits of his friends and colleagues. The curator had written that Calder’s portraiture functioned as a biographical document, a form of communication, a token of appreciation, and gesture of love for his fellow artists, of art and life itself. I realized this is what I aim for, too. E. Laura Golberg’s poetry has appeared in Perigee: Publication for the Arts, The Pedestal Magazine, www.LanguageandCulture.net, Innisfree Poetry Journal and the Birmingham Poetry Review, among other places. She has read her work at multiple venues in the Washington, DC metropolitan area, including Miller Cabin, The Takoma Park poetry series and Iota. This summer, Laura will be attending the Kenyon Review Poetry Workshop. You may not think that writing about science can compare with, say, the adventures of travel journalism. But my recent stint this spring as a science writer took me to West Africa on a short fellowship with the International Reporting Project. In the Sahelian brightness of Mali, on the Niger River, I tagged along with Malian researchers grappling with bringing down malaria’s deadly toll, visited a remote clinic where the local doctor has helped to overturn international guidelines on malaria treatment, chatted with his patients, and got stranded beside the road with my fellow passengers when the colorful Bittar bus (built for A.C. with windows sealed but hey, no A.C. on a 100+ day!) broke down with a flat. All for an article coming up in Science magazine. Weaving a lively tale involving science can overlap with everything from travel to forensics. And when you develop an eye for the elements of a compelling story, you can shape a strong narrative out of material you find in everyday life. Most Americans feel inadequate in the locker room of science. They know they should know more about biology, physics or whatever. But maybe they didn’t get the bug in school and now those words -- physics, biology -- are not their friends. So how does a writer invite them in? With a good story, and by breaking down the category dividers that society uses to mark off subjects. We explore these elements and opportunities in Writing Brilliantly About Science. Join us for the half-day workshop later this week or the full journey in the fall. David Taylor writes about science, history and for books, magazines and films. His articles have appeared in Smithsonian, The Washington Post, and Wired. His book Ginseng, the Divine Root explored the science and subcultures surrounding the medicinal plant. He wrote and co-produced the Smithsonian documentary Soul of a People: Writing America's Story, nominated for a 2010 Writer's Guild Award, and the book, Soul of a People: The WPA Writers' Project Uncovers Depression America, named among Best Books of 2009. He’s a member of the National Association of Science Writers. Join Politics and Prose to listen to Steven Weinberg and Casey Scieszka discuss their travelogue; To Timbuktu: Nine People, Two People, One True Story. Their travelogue reflect the author's two year journey in China, Thailand, Vietnam , and Mali upon graduating college. 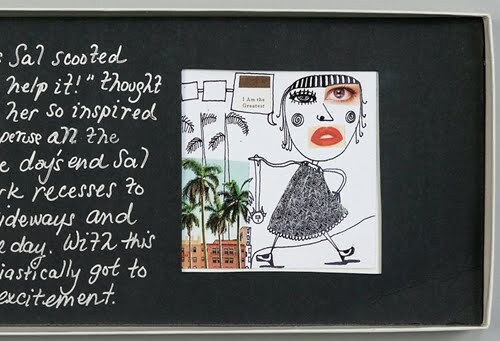 The travelogue is written in prose and cartoons. Pirates of the Carribbean: The Price of Freedom follows the adventures of twenty-five year old merchant seaman, Jack Sparrow. Her book is an original novel based on the Pirates of the Carribbean films. Join AC Crispin as she signs and discusses her book at the Barnes and Noble Bethesda. Join novelist Deborah Clearman as she reads from Todos Santos and Cynthis Phoel, author of the collection of short stories, Cold Snap: Bulgaria Stories. The event is free and open to the public. Last week, we reported that security forces allegedly detained a Syrian American woman, Amina Abdallah Araf al Omari, for her blog entitled “A Gay Girl in Damascus”. However, this blog is a hoax. On Sunday June 12, 40–year-old Tom MacMaster confessed that he started and maintained the blog since February 2011. MacMaster lives in Scotland, but wrote his apology in Istanbul, Turkey. In his apology MacMaster explains that he never expected the blog to receive such a high level of attention. He writes that “while the narrative voice may be fictional, the facts on this blog are true and not misleading as to the situation” in the Middle East. MacMaster is a Middle East Activist pursuing a Master's Degree at the University of Edinburgh. Many supporters of the Amina persona responded to MacMaster’s apology negatively. In particular, the Syrian gay community did not accept his apology. The blog was traced to MacMaster through IP email messages supposedly from Amina to the blog from Edinburgh University. On a similar note, investigators found pictures on MacMaster’s private email. Those pictures revealed a woman who looked identical to Amina on the blog. MacMaster’s wife took the pictures on a 2008 trip to Syria. Meanwhile in the "real world", a young student poet from Bahrain, Ayat Al-Gormezi was sentenced to one year in prison on Monday June 13. A couple weeks ago, we discussed on the weekly round-up how Ayat was imprisoned in March 20, 2011 for reading a poem at a pro-democracy rally in Pearl Square. Her trial began on June 2, 2011 on charges on anti-state claims against the Bahraini King. The Writers in Prison Committee (WiPC) of PEN International is protesting this sentence and asking for the poet’s unconditional and immediate release. In their petition, WiPC explains how Ayat’s trial did not comply with international standards of fairness. Her family has reported that Ayat was hospitalized for severe mistreatment in the prison, but her treatment has improved a bit due to the international attention of Ayat’s situation. WiPC plans to send their petition to the Bahraini king, the Minster of Justice and Islamic Affairs, and the Embassy of the Kingdom of Bahrain in Washington D.C.
Students accused Phillip Baker, a medical school dean at the University of Alberta, of plagiarizing a speech by The New Yorker writer and Harvard University Professor Atul Gawande for University of Alberta’s commencement ceremony on Friday June 10. Gawande wrote the speech Stanford University’s 2010 commencement ceremony and published the speech in The New Yorker. Baker admitted that the theme and a substantial amount of the content were similar to Gawande’s speech in his apology to the students on Sunday June 12. The National Archives have hired its first “Wikipedian in Residence,” Dominic McDevitt-Parks on Wednesday June 15. McDevitt-Parks is a graduate student in history and archives management at Simmons College in Boston. The “Wikipedian in Residence” is part of an international movement to connect Wikipedia to museums and archives. Archivists have previously served as a “Wikipedian in Residence” in the British Museum, the Children’s Museum in Indianapolis, and the Archives of American Art in Washington DC. The Guardian lists one hundred of the best non-fiction books. Many of the books reside in the British Museum Reading Room. Books on the list include The Diary of Anne Frank, Rachel Carson's Silent Spring, and Charles Darwin's On the Origin of Species. Thursday June 16 marked Bloomsday, an annual literary celebration of author James Joyce and his novel Ulysses. Specifically, the literary world remembers Leopold Bloom’s fictional journey across Dublin in Ulysses. The Washington Metropolitan Philharmonic Association and The Writer’s Center have teamed on a special writing competition. To enter the competition, writers must listen to selections of classical music—each piece a part of the WMPA’s 2011-12 season—and write stories, essays, and poems based on the music. (The selections of music are listed below.) Five winners will have their pieces featured at upcoming WMPA shows, and they will give short discussions about their work at the concerts that feature the music they were inspired by. In addition, their work will be published by WMPA in a small journal that will be sold at WMPA events. Please select one of the following pieces of music on which to base your story, essay, or poem. Note: the dates listed are concert dates. Also NOTE: The music for the December and May concerts has been changed from the original post date. This is the final schedule now, according to WMPA. • Writers must develop their work based on a specific piece of music, and they must submit the work by listing the name of the composer they’ve been inspired by. The work should be no more than 1000 words. • All entries must be received by July 25, 2011 (postmark date). Entries not postmarked prior to or on this date will be ineligible. Manuscripts will not be returned. Please keep your own copies. • Please include a contact cover sheet indicating name, address, phone number, and e-mail address (no cover letter required). • The Writer’s Center is not responsible for lost or damaged submissions. • If you have questions about the WMPA Writer’s Competition, please address them to Kyle Semmel, publications & communications manager. • A public discussion of their work at a single WMPA event (if, for example, the author is inspired by Dvorak, the author will discuss his/her work at that show). Join Little Patuxent Review in celebrating the publication of its Summer 2011 Make Believe issue. It’s their tenth consecutive one and Editor Laura Shovan’s first! They will have readings by Ann Bracken, Derrick Weston Brown, Erin Christian, Caryn Coyle, Barbara Westwood Diehl, David Evans, Tara Hart, Susan Thornton Hobby, Lillian Bayley Hoover, Jenny Keith, Danuta E. Kosk-Kosicka, Laurie Kovens, Ann A. Philips, Bruce Sager, Karen Sagstetter and Patricia Jakovich VanAmburg, followed by light refreshments and the opportunity to talk with participating authors and artists. Copies of the issue will be available for purchase. The event is free and open to the public. For more information, see their Website. Join The Writer's Center for a Poetry and Prose Open Mic in honor of Father's Day. Sign ups for readers begins at 1:30 pm. The event is free and open to the public. Now in its ninth year, Silverdocs is the most talked about documentary festival in the United States, called “Non-Fiction Nirvana” by Variety, the “Pre-eminent documentary Festival in the US” by Screen International and the “premiere showcase for documentary film” by Hollywood Reporter. Silverdocs plays host to more than 27,000 attendees from across the globe with a diverse range of films, filmmakers and film subjects representing more than 60 countries. Silverdocs takes place in and around downtown Silver Spring, Maryland – just minutes from downtown Washington, DC - at the AFI Silver Theatre, the flagship theatre of the AFI, one of the premier film exhibition spaces in the country, and the top art house cinema in the region. Click here to learn more about the films in this year's festival. In A High Price, Daniel Byman breaks down the dual myths of Israeli omnipotence and--conversely--ineptitude in fighting terror, offering instead a nuanced, definitive historical account of the state's bold but often failed efforts to fight terrorist groups. The product of painstaking research and countless interviews, the book chronicles different periods of Israeli counterterrorism. Join Daniel Byman at the Bethesda Barnes and Noble, where he will sign and discuss his book. Daniel Byman explores how new terrorist techniques are often used on Israel first and how the state's successes and failures can serve to inform all countries fighting terrorism today. When I went to Afghanistan in 2004 as a journalist, I expected to document the rebuilding of a country devastated by a quarter century of war. I did, producing two newspaper stories and two magazine articles about the topic. But there was so much that never made it into newsprint or glossy magazine pages. My most memorable experiences in Kabul and the rural village I visited were studies in contrasts: The screech of an F-16 across the dawn while the muezzin’s ethereal voice intoned the morning call to prayer. The ubiquitous odor of seething medieval-style open sewers cut by the heavenly waft of bread from a communal bakery. College women who flung off their burqas at the university gates to reveal flashy, fashionable outfits and voluminous hairstyles peeking out of sheer headscarves. 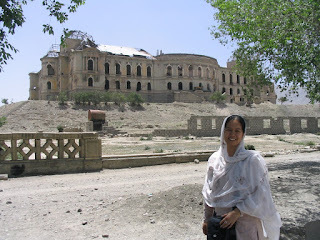 These were the moments that compelled me to write more about Afghanistan, and about the Afghan immigrant family with whom I traveled. I wrote in first-person, subjectively, without an end in mind, simply because I had to get these stories out of my system. In time, they became my nonfiction book manuscript, The Familiar Hearts of Strangers. One summer day, while I was immersed in drafting the book, the tinkling music of an ice cream truck drifted in through the open window. I started free-writing; a mad rush of thoughts and sensations about tasting Afghan ice cream in Kabul. I worked backwards: The buttery sweetness of the unpasteurized cream on my tongue. The nostalgic joy of my Afghan-immigrant friend as she recaptured a part of her childhood. The anger she felt when she couldn’t buy ice cream in a Taliban-controlled Kabul, where women eating ice cream in public was banned. The importance of ice cream in a war zone. Through countless critiques from trusted teachers and fellow writers, many of whom I met at The Writer’s Center, the chapter took shape and also became a free-standing essay. A version of that essay was chosen by Lavinia Spalding, the editor of The Best Women’s Travel Writing 2011, to appear in the anthology. I’m glad that the only essay in the book about Afghanistan is about something delicious and playful, because we hear so much that is the opposite about the country. It’s not that the piece – which after all is titled, “Vice and Virtue,” after the Taliban’s brutal Department for the Prevention of Vice and Promotion of Virtue – shirks the harsh realities of Afghanistan’s recent past and present. But it is, like those moments that inspired me to write my book, a study in contrasts. Like the ice cream and all it symbolizes, it is foul and fair, heaven and hell – all in one spoonful. Angie Chuang is a writer and educator based in Washington, D.C. She is an assistant professor of journalism at the American University School of Communication. She was a newspaper reporter for 13 years, as a staff writer for The Oregonian, The Hartford Courant, and the Los Angeles Times. She is currently revising her nonfiction book manuscript, The Familiar Hearts of Strangers, and hopes to have it ready to shop around this fall. Several Writer’s Center faculty / workshops have been instrumental in shaping her project and proposal, in particular Barbara Esstman, Richard McCann, and Shannon O’Neill. Our condolences go to TWC member Sauci Churchill's family. She passed away on June 4th. A few years ago, I took the train up to New York City to attend a magazine launch. I was almost ten weeks pregnant. Later that night, on the train ride back to D.C., I made my way to one of Amtrak’s individually enclosed bathrooms. When I saw blood—too much blood—I knew immediately I was having a miscarriage. Over the next few days, the bleeding grew heavier and my contractions started. Although my husband and I tried for years afterward, we were never able to conceive again. To cope, I turned to my journal. Flip-flopping in bed as anxious thoughts flooded my mind, I would sneak down the hall to my home office to write. For me, writing is essential to break through life’s barriers. It worked for me in college at the end of a relationship that left me devastated, it worked for me when I went through a major career change in my early thirties, and it worked for me as I came to grips with my miscarriage and infertility. Filling my journal’s blank pages helped me process what I was thinking, what I was feeling, and what I was afraid of—it was a tool I could use to wade through all the mixed up thoughts jumbling around in my brain. At times, facing truth on the page was difficult, but writing helped me find meaning in my experience. This Saturday, I hope you’ll join me for the workshop Writing for Wellness. We will spend time reading passages from authors who have told their own stories, and then we will use their words as a launching pad to spring us into a series of exercises. We will also talk about different ways to keep a journal and how to maintain a practice at home. 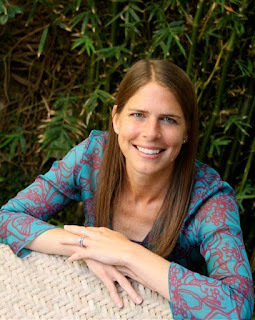 Jenny Rough is a lawyer turned writer. She has written articles for The Washington Post, Los Angeles Times, AARP The Magazine, Whole Living (Body+Soul), More, Yoga Journal, USA Weekend, and Writer’s Digest, among other publications. In addition to writing Roughly Speaking, her blog about nurturing the creative spirit, she blogs for Mothering.com. She is currently working on a book about healing from infertility. Beginning today, we will provide information about different literary contests, scholarships, fellowships, and grants for writers around the world. We will provide links to the organizations sponsoring the contests. Please note that, as always, you should do your homework on each contest before submitting. By posting these links below, TWC is not actively endorsing the contests & prizes here. We're merely passing them on for others. The 2011 Aesthetica Creative Works Competition is now open for entries! Aesthetica Magazine is inviting all artists, photographers, writers and poets to submit their work into the Aesthetica Creative Works Competition. Now in its fourth year, the competition is dedicated to celebrating and championing creative talent across the disciplines and welcomes entries from poets and writers working in short fiction. • Winners of each category receive £500 prize money (apx. $800) plus other prizes. • Entry to the Creative Works Competition is £10 (apx. $16). • The entry fee allows the submission of 2 images, 2 poems or 2 short stories. • The deadline for submissions is the 31st August 2011. New Millennium Writings is accepting submissions of works that have not appeared in a print publication with a circulation of over 5,000 copies. Writers can submit poems, short stories, essays, and short- short stories for consideration. • The writing competition has four categories: poems , short stories, essays, and short-short stories. • The winner in each of the four categories receives $1,000 and publication in New Millennium Writings and on the journals website. • Entry to the competition is $17. • Multiple submissions are welcome, but each fiction or nonfiction piece is judged as a separate entry. Each entry must be uploaded as separate word documents. • The short-short story may not exceed 1,000 words. The essays and the short stories may not exceed 6,000 words. • Each poetry entry can include up to three poems , but may not exceed five pages. • The deadline for submissions on the journal's website is June 17,2011. The Teachers & Writers Collaborative annually rewards the Bechtel Prize for an essay that relates to creative writing education or literary studies. Some potential topics include contemporary issues in classroom teaching and the intersection between literature and imaginative writing. Patricia Hampl, author of the acclaimed novel, The Florist’s Daughter, will judge the 2011 Bechtel PrizeThe winner of the Bechtel Prize wins $1000 honorarium and publication in the Teachers and Writers print magazine and website. • Finalists receive $500. Their essays may be published in the Teachers and Writers Magazine. • Submissions must be previously unpublished and may not exceed 3,500 words. • Submissions will be judged anonymously. The author’s name and address must not appear anywhere on the essay. • Two copies of the entry must be submitted. The submission must include a cover page with the authors name, mailing address, email address, telephone number, title of submission, and where the author learned about the Bechtel Prize. The other copy should just include a cover page with the title of the submission. • Submissions must be typed, double-spaced and paginated. • Entry into the contest is $20. The Red Hen Press Short Story Award was established in 2001 in order to celebrate the new century and new tradition of literature. The award is for an original short story.The contest is open to all writers. • The story may not exceed twenty- five pages. • The winner of this contest receives $1,000 and publication in the Los Angeles Review. • Entry for this contest is $25. • The deadline for submissions is Thursday June 30, 2011. Here's some interesting literary news from around the internet this week. Much of the information can be found on our twitter feed. Suzanne Collins, author of The Hunger Games series, joined the Kindle Millions club on Monday June 6. She became the first children’s author to sell more than one million e-books through Amazon. Other members of the club include Stieg Larsson,James Patterson, Nora Roberts, and Charlaine Harris. On a similar note, Ann Patchett plans to open a bookstore in Nashville, Tennessee with business partner and Random House veteran, Karen Hayes, in the fall. After 130 years, Sir Arthur Conan Doyle’s debut novel, The Narrative of John Smith, will be released this Fall. Conan Doyle is mostly known for creating and writing the Sherlock Holmes stories. The Narrative of John Smith was written when Conan Doyle was 23. The manuscript tells the story of a fifty- year- old man who’s confined to his room due to gout illness. The man lays out his thoughts on various topics ranging from war to literature through conversations he has with visitors. The British Library is publishing the story. The lead curator, Rachel Foss of the modern literary manuscripts at the British Library, states that the book provides insight into the early stages of Conan Doyle’s development as a writer. Chilean judge Mario Carroza ordered an investigation on Nobel prizewinning poet Pablo Neruda’s death in 1973. Neruda won the Noble Prize for Literature in 1971. The investigation could lead to Neruda’s body being exhumed from its grave in Isla Negra, Chile. Neruda’s former driver and associate, Manuel Araya, claims that Neruda was poisoned due to his activism in the Communist Party. Judge Carroza is overseeing several cases relating to Chileans who died or disappeared during General Augustin Pinochet’s regime. However, The Pablo Neruda Foundation maintains their belief that Neruda died of cancer. Another Middle Eastern young woman is detained for her writing. Syrian American Blogger Amina Arraf was detained on Monday June 6. Beginning in February 2011, she blogged about life, politics, and being gay in the Arab world. On her blog, “A Gay Girl in Damascus”, she wrote she had “to begin by doing something bold and visible." She wrote that she could write this blog because she has politically connected relatives. Her relatives hoped that her United States passport would ease Arraf’s passage through Syria’s prison system. However, no one has heard from Arraf since three armed men took her away in a car on Monday evening. Her blog posting in April entitled “My father, the hero” propelled Arraf to world fame .The post recounted how her father used stern words to dispatch two members of the security forces from detaining Arraf. Arraf had been living in hiding since early May. 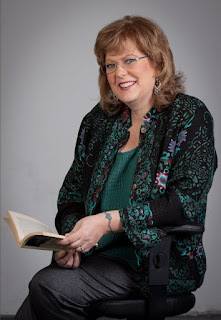 Nan Graham, editor of Stephen King and Don DeLillo, won the Maxwell E. Perkins Award for distinguished achievement in fiction. The lifetime achievment award was announced on Thursday June 9 by the Center of Fiction. Graham is Scribner’s editor in chief and senior vice president. Forbes announced the ten most powerful living women authors for 2011. The women selected for the list are powerful due to their ability to influence readers through words and ideas. The women captivate readers with stories based on fantasy, suspense, and insight into minority experience and cultures. These women can tell and sell a good story. J.K. Rowling, Toni Morrison, and Jhumpa Lahiri are included on this list. Our friends at Studio Neptune (down the road in Bethesda), an organization dedicated to "make[ing] real and rewarding experience[s] through the power of making art." Parking is free on Saturdays in the public school lot across from Studio Neptune in all the public garages. Weekly culinary teasers sponsored by local Bethesda restaurants. Save a seat through PayPal! Tickets are non refundable. Workshop size is limited to 16 participants. You must be 21 or older to attend. Click here to register. This is happening this Saturday at The Writer's Center. To register for the event, go to American Independent Writers' Web site, or see the bottom of the post. Address by John Ross, Executive Editor of American Heritage Magazine, former senior editor of Smithsonian, and bestselling non-fiction author of War on the Run. Presenter: Buzz Mauro— Co-Director of Theatre Lab School of the Dramatic Arts, actor in Shakespeare Theater and Signature Theater productions, Helen Hayes Award nominee. Session VI: 3:50 – 4:40. First 50 attendees to register for conference may sign up for a ten-minute meeting with a literary agent. Pricing – It’s a great deal! To pay in advance by credit card, call Donald Graul at 703-660-9336. Questions? Please email Mark at taral566@yahoo.com. Carolyn Parkhurst is a great writer. She's also funny. And once upon a time she took some workshops at The Writer's Center. Her third novel, The Nobodies Album, is set to release in paperback next week. Take a look at this trailer. It might be one of the best I've seen since Gary Shteyngart's Super Sad True Love Story. I recognize two of the ladies in the video, one is Amy Stolls (who has her own novel just out, The Ninth Wife) and the writer Paula Whyman. Here's another post by Kelley Coyner, a regular contributor here at First Person Plural. Last week she described her experiences at the Compleat Biographer Conference. Today she provides some helpful tips, gleaned from conference panels, on how to fund your work. iFAQ 1: Where can independent scholars find funds for nonfiction, especially biography? Louise Knight, author of 2 biographies of Jane Addams, highlighted the National Endowment for Humanities for projects related to American History. The deadline for their summer stipend to individuals for 2012 is September 29, 2011. The John Simon Guggenheim Foundation, awards fellowships nonfiction and, according to Andre Bernard, Guggenheim’s V.P, they typically fund 2 to 4 biographers a year. Deadline: September 1.
iFAQ 2: How do I find other grants? The panelists and audience said “Head to the library” and look for the five inch thick Directory of Foundations, a list of most foundations which provide financial assistance to individuals through fellowships, residencies, and travel programs.” Better yet, head to the local Foundation Center, Washington’s is on K Street, or to one of dozens of locations across the country for free access to Online Foundation Grants to Individuals. iFAQ 3: How do I persuade an anonymous review panel to fund me? Tailor your proposal. The Guggenheim’s Bernard said that the personal narrative is critical to show what is interesting about the topic and demonstrate the person’s ability to write. Don’t send your editor or relatives as references; do list people who know your writing. The personal narrative appears to be the places where applicants most frequently stall in preparing the process. Now that all applications are completed online, online applications, the Guggenheim Foundation can monitor who opens, but does not complete the application and where the candidate stopped. (Bernard recently pulled a fiction application from decades ago which had a very sketchy notion of a former basketball player in a small town in Pennsylvania, some poems, and an interesting and well written personal narrative. Updike got the fellowship. And in 2010 Adam Begley was granted a fellowship to work on Updike’s biography With no previous biography under his belt, it looks like Begley persuaded the adjudicators on the basis of his narrative and topic of interest.) Don’t get discouraged. Should I ask why my proposal was turned down? Yes. No. Maybe. How many times is too many times to apply? The Guggenheim Foundation will not tell you why you did not receive a fellowship, because often there is often no helpful reason. They received more than three thousand applications last year and awarded 180 grants. Many good ones just did not get the nod. NEH does provide a debrief on applications. With other funders, it does not hurt to ask. This is happening later this month at St. John's College, in case anyone's interested. A Mitchell Gallery Signature Event. Proceeds will benefit the Gallery’s education programs. Reception June 25 7-10 p.m.
Art exhibit, silent auction, rare and decorative book sale, festive foods and cocktails, author readings, music and fun. Featured Speakers: Alan Cheuse, National Public Radio; Kerry McAleer-Keeler, Corcoran College of Art + Design; and Lisa Simeone, National Public Radio, master of ceremonies. Reservations required. Tickets are $49 to $125. For more information or to make reservations visit the "Art of the Book" web page or call 410-626-2530. Exhibition. June 17 – 25 "The Art of the Book", a special exhibit at the Mitchell Gallery of St. John’s College, will feature two and three- dimensional works by more than 45 local and regional artists, who have taken their inspiration from books. The works of art on exhibit at the Mitchell Gallery from June 17 – June 25 will be sold by blind silent auction. Bids may be placed in the gallery during the exhibition or online, beginning June 1. Workshop. Saturday, June 25, 1:30-3:30 p.m. The Corcoran College of Art + Design will present a Japanese Stab Binding workshop led by artist Kristín Guðbrandsdóttir. Fee $50. Registration required. Visit the "Art of the Book" on the web. On Sunday, June 5, from 2:00 pm to 4:00 pm, The Writer’s Center will host an Open Door reading featuring Linda Pastan and Michael Salcman. Linda Pastan will read from Traveling Light, her new collection of poems. She is joined by poet Michael Salcman, who will read from his recent collection, The Enemy of Good Is Better. The event will be free. Here’s some interesting literary news from around the Internet. Much of the news can also be found on our twitter feed. On Tuesday May 31, 2011, The Huffington Post’s lawyers attempted to dismiss Jonathan Tasini’s lawsuit.Tasini filed the lawsuit in April on behalf of unpaid bloggers on The Huffington Post’s website against Arianna Huffington, The Huffington Post, and AOL. The lawsuit includes about 9,000 unpaid bloggers and seeks damages for a minimum of 105 million dollars. In their motion to the New York District Court Judge, the lawyers argue that The Huffington Post website’s terms and conditions gives them the right to publish work without paying the writers. They also highlight that Tasini willingly wrote more than 200 posts in exchange for exposure on the website. He did not write for monetary reasons. Jeff Howe, author of Crowdsourcing and journalism professor at Northeastern University in Boston, launched a global book club, 1book140, on twitter on Wednesday June 1, 2011. Last summer, he launched a twitter book club called the One Book, One Twitter Club. Howe decided to relaunch the bookclub, in conjunction with the Atlantic magazine. He hopes to have virtual discussions once a month. More than 2,000 people nominated 300 books for the first discussion and Margaret Atwood’s novel The Blind Assassin won the nominating process. A handshake ends a 15- year- old literary feud. The Nobel Prize winner V.S. Naipaul and travel Paul Theroux reunited at the 2011 Hay Festival on Saturday May 28. The writers met in Uganda in 1966. Their three-decade friendship ended when Theroux discovered one of his books that he inscribed and gave as a present to Naipaul was put on sale for $1500. Theroux wrote a memoir portraying Naipaul as a brutal, unforgiving man. Naipaul claimed he barely knew Theroux and dismissed Theroux’s work as lower class tourist books. Novelist Ian McEwan aided the men in their reconciliation at the literary festival. Naipaul also met with controversy this week when a reporter asked him a question about women authors. Twenty- year- old Bahraini student and poet Ayat al- Gormezi went on trial before a military tribunal on Thursday, June 2. Ayat was arrested on March 30, 2011 after reading a poem at a pro-democracy rally in Pearl Garden. She was forced to turn herself in when masked policemen raided her parents' home and held her four brothers at gunpoint. Former death row inmate Wilbert Rideau has published a memoir, In The Place of Justice: A Story of Punishment and Deliverance, in order to educate the public about life behind bars. Rideau spent forty-four years at Angola State Prison in Louisiana until his release in 2005. During his time in prison, Rideau discovered a passion for writing. In 1974, he began writing a syndicated newspaper column , The Jungle. In 1975, he became the editor of the prison’s magazine, The Angolite. The Angolite covered serious issues such as sexual slavery in prison. On Friday, June 3, Southern District of New York Judge Martin Glenn granted Borders an extension to finalize their reorganization plans since many bidders are interested in buying the bookstores. The bids include a proposal from the investment firm The Gores Group for approximately $200 million to purchase half of Borders’ bookstores. Hans Keilson, a chronicler of life in Nazi Germany died Friday, June 3, at age 101. Keilson was a psychoanalyst. He won literary fame towards the end of his life when two of his fiction works set in Nazi-occupied Europe were republished. He published his first novel, Life Goes On, at age 23. This novel offered a dark depiction of German political life. The book was banned in 1934. His other novel, The Death of the Adversary, is about a young Jewish man's experiences as Nazi's gained power. After spending the war in hiding, he wrote a novella entitled Comedy in a Minor Key about a dutch couple who hides an elderly Jewish man who dies of natural causes. Last year I interviewed Egyptian poet Yahia Lababidi on First Person Plural. You can see the entire interview here. Now, film-maker Swoon has turned chunks of that interview into a fascinating 3-minute film. It's pretty cool. You can watch it here. Other interesting videos taken from the Lababidi's poetry are found here. Lababidi's new book, out soon, is called Trial by Ink: From Nietzsche to Bellydancing.